100% freshly pressed apples, all natural flavourants. Preservative free and gluten free. 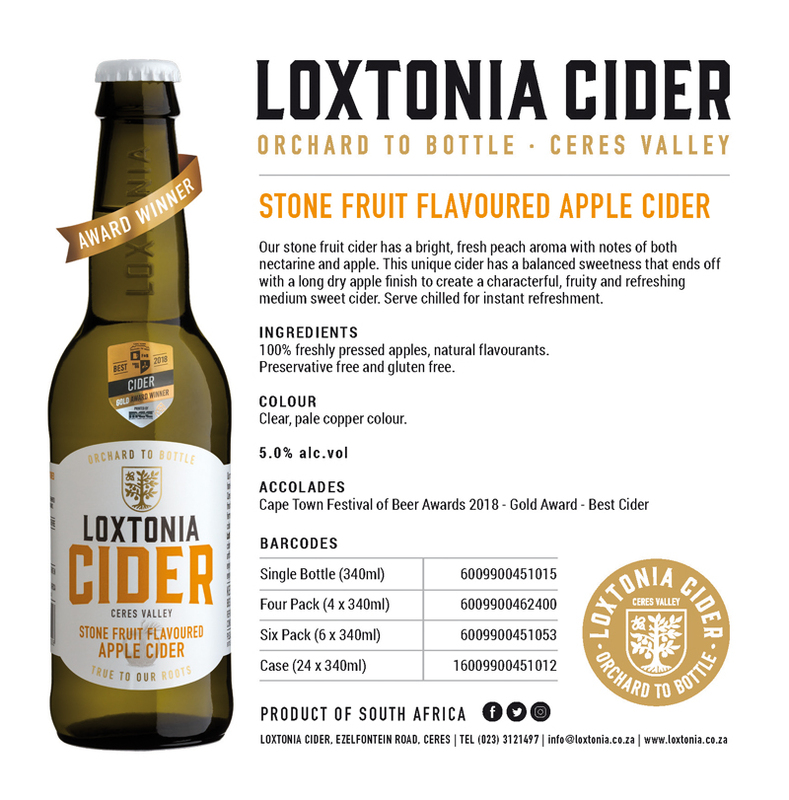 Loxtonia Cider takes home gold for their Loxtonia Stone Fruit Apple Cider, which won Best Cider of the year at the 2018 Cape Town Festival of Beer. 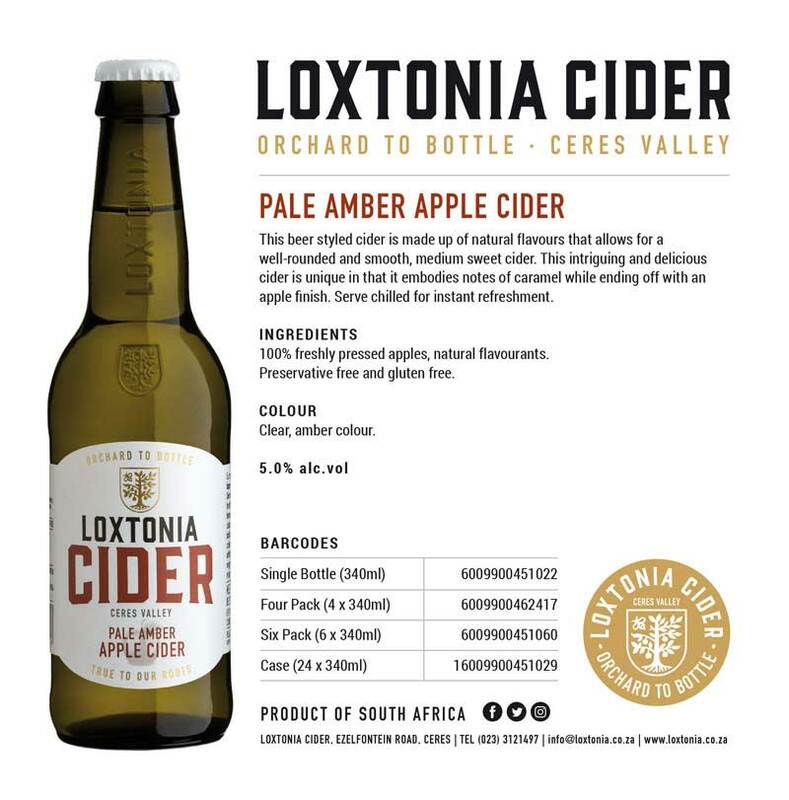 Loxtonia Stone Fruit Apple Cider is the quintessential definition of summer in a bottle – with its bright, fresh peach aroma with notes of both nectarine and apple, the carefully balanced sweetness ends off with a long dry apple finish to create a characterful, fruity and refreshing medium-sweet cider. It is without a doubt a go-to drink for any occasion – served chilled for instant refreshment. Once the fruity liquid hits your lips, its is sure to thrill even the most savvy of palates. 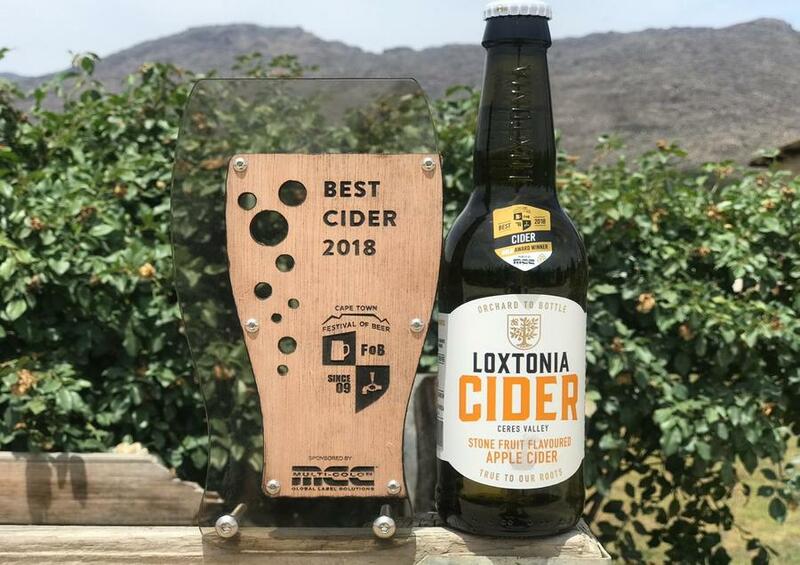 It has taken years of behind-the-scenes research, development and endless tastings to perfect the recipe for this cider and Loxtonia Cider is incredibly proud to have been voted the Best Cider of 2018, a mere month after its launch into the South African market. 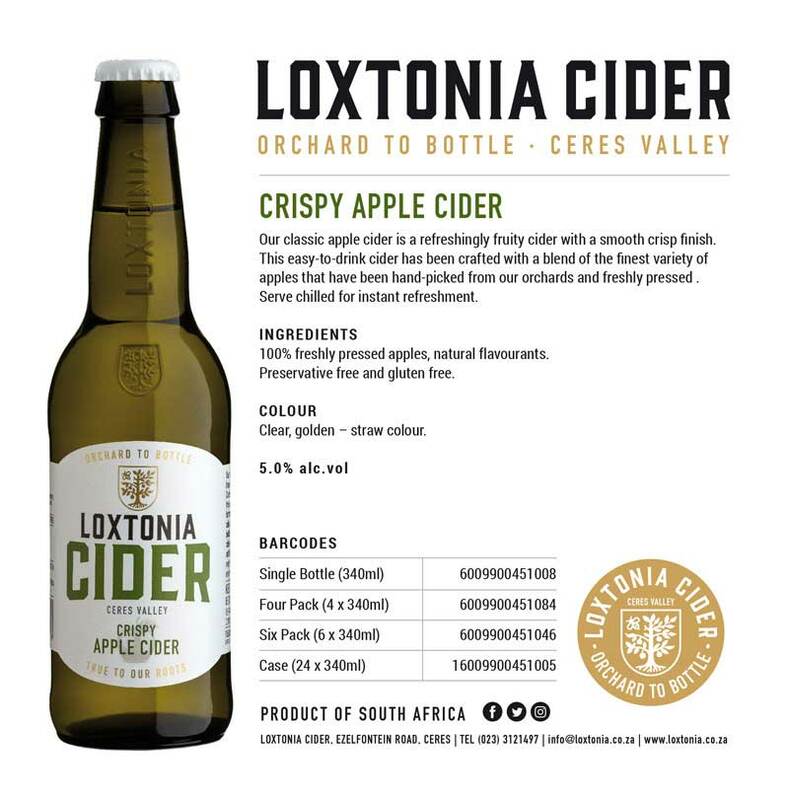 “We wanted to come up with a flavour that had not yet been done in the South African cider market, as our goal is to be innovative and make a delicious tasting cider which remains true to our (apple tree) roots. We are totally thrilled with all the positive feedback and are excited to see where this journey will lead us,” says Ali Whitfield, Marketing Manager of Loxtonia Cider. 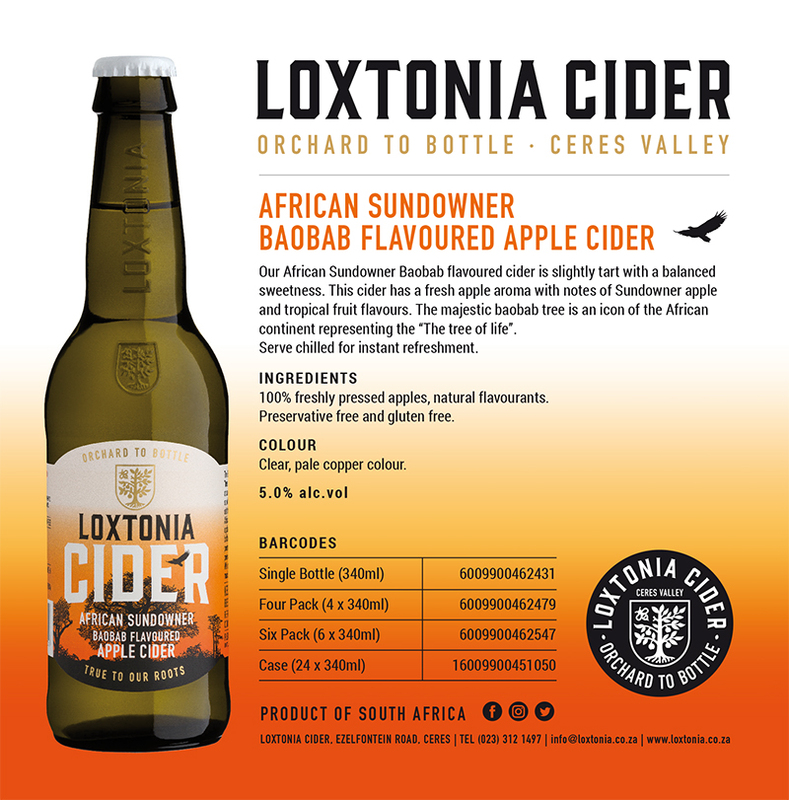 “The thought process behind all of our ciders is that it is of utmost importance that one is able to taste the apples in each of our flavours, as our whole philosophy is Orchard to bottle and we want to bring this to life in all that we do,” agrees Larry Whitfield, Founder & Head Cider Maker of Loxtonia Cider . 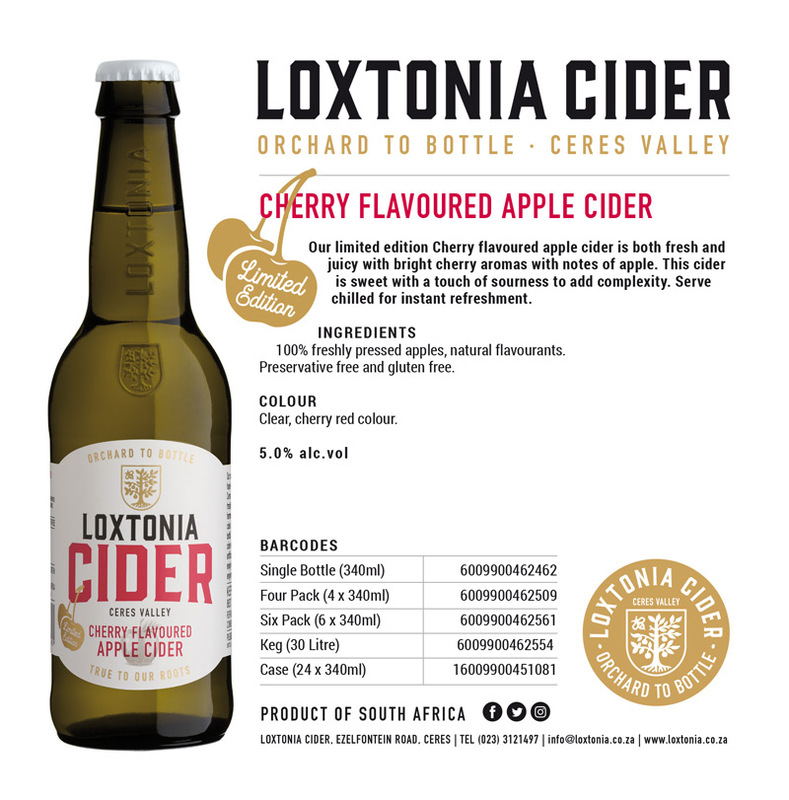 With four delectable flavours already on the market, Loxtonia Cider has a few delicious surprises up their sleeve. A brand new year awaits - make those resolutions and live your best life in 2019!